Robots are awesome; it s a scientific fact. 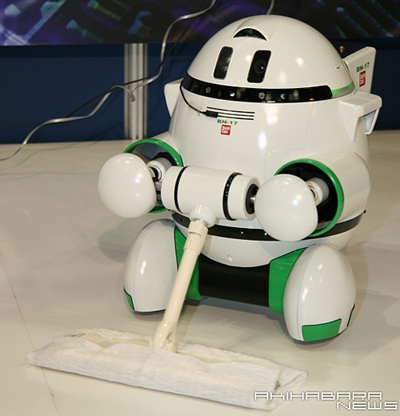 Bandai s new Swiffer BN-17, a helper robot as adorable as a puggle puppy, wants to be your friend. He ll clean up your house, provide you with companionship, and even check your email. Plus, he won t leave a mess on the carpet.